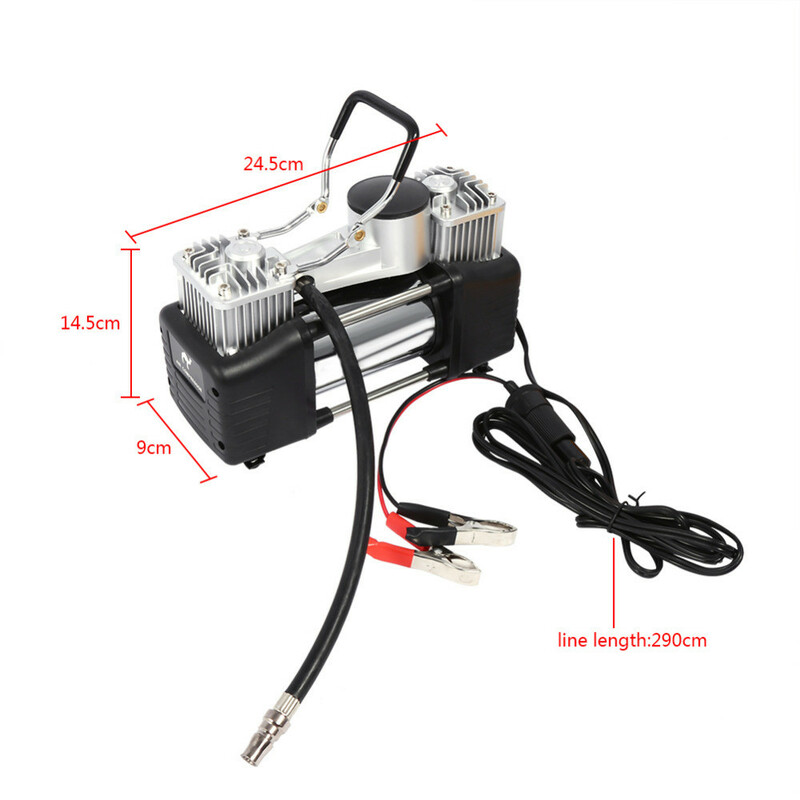 12V Heavy Duty Air Compressor. 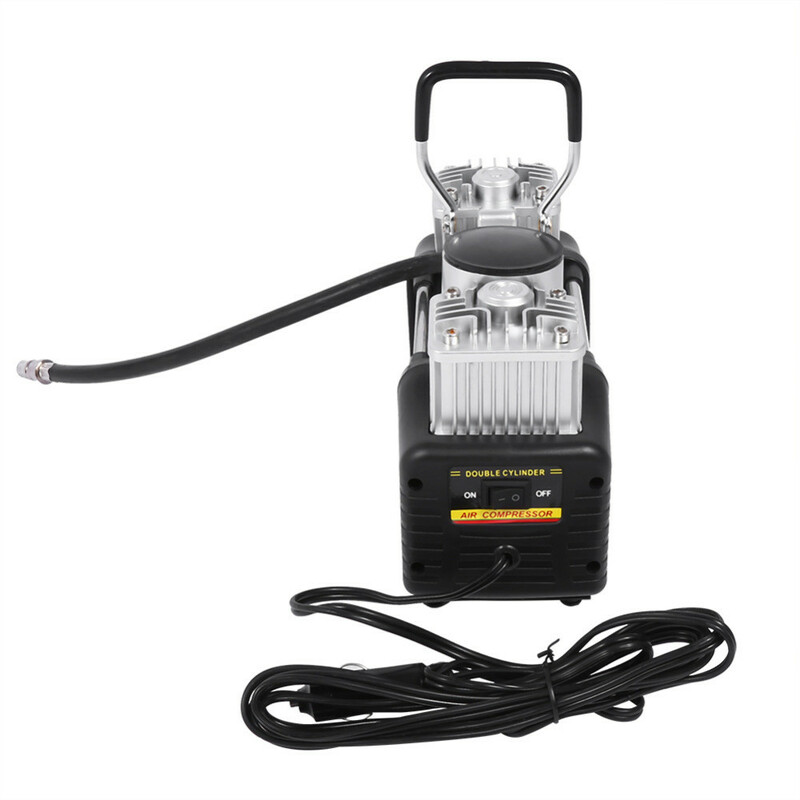 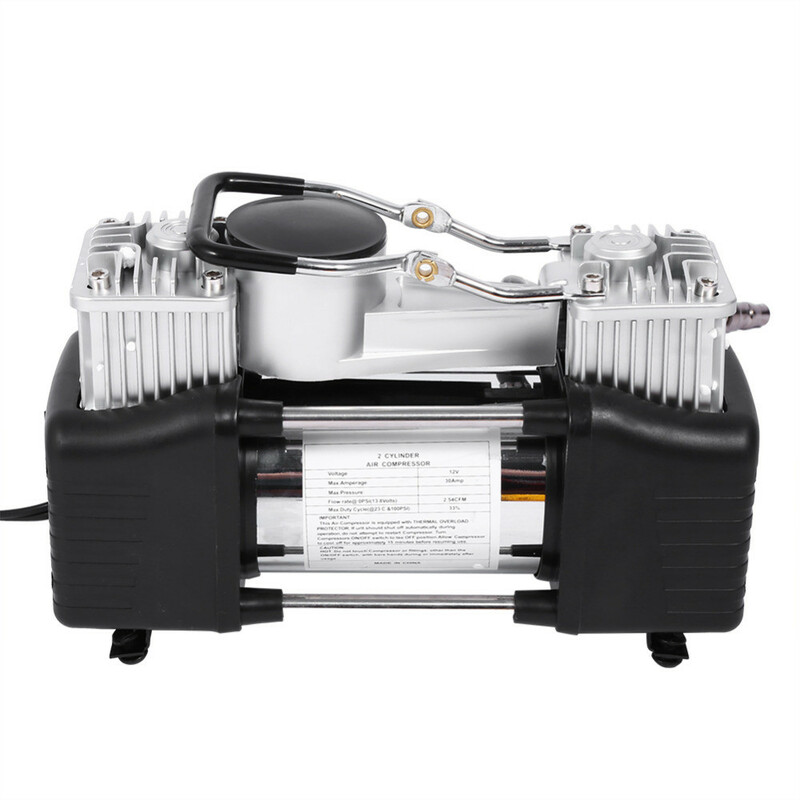 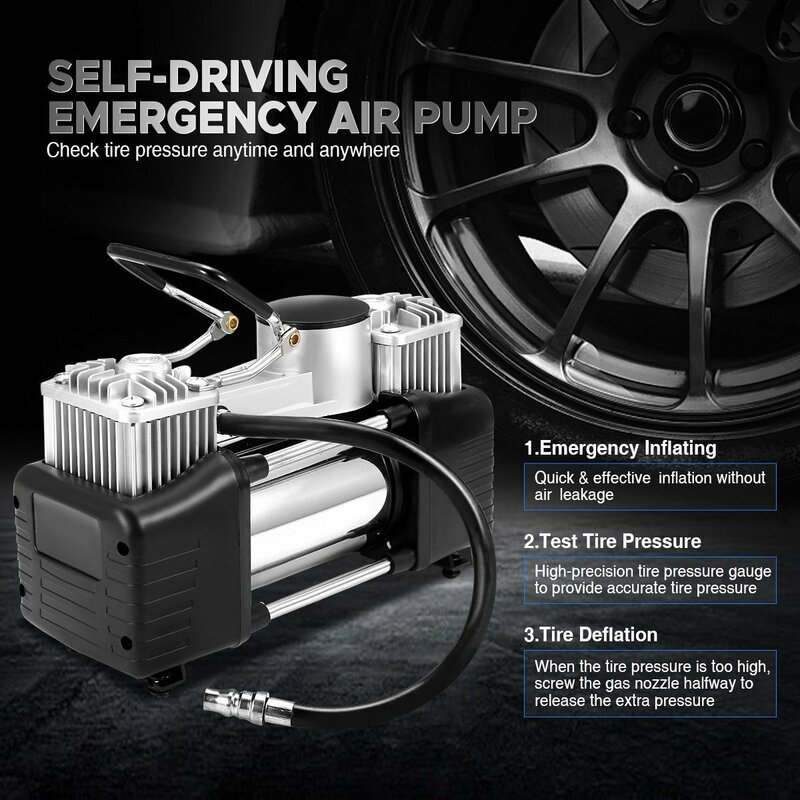 Cast metal air pump casing with the radiator for better heat dissipation. 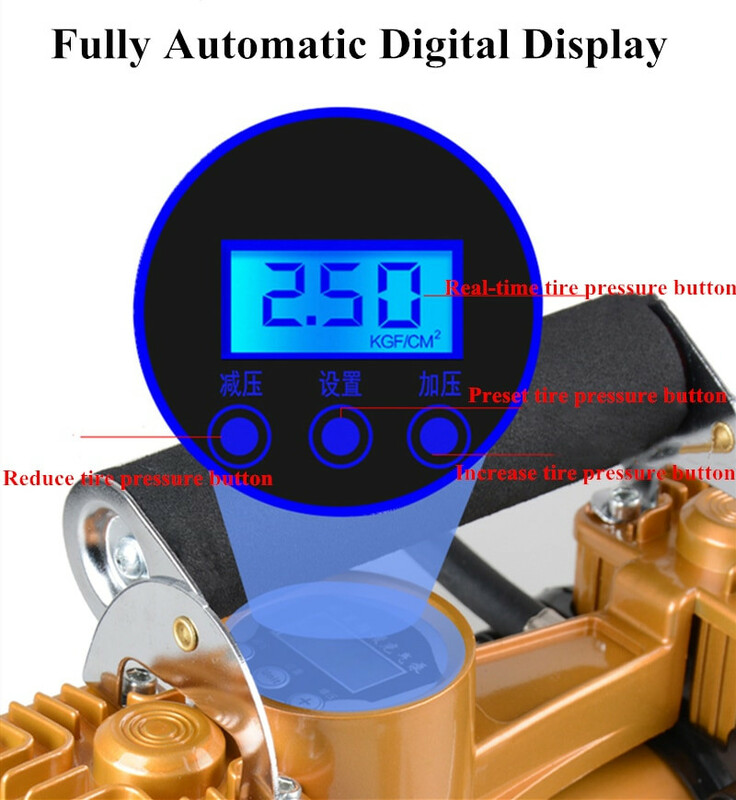 Also comes with the Digital Pressure Gauge. 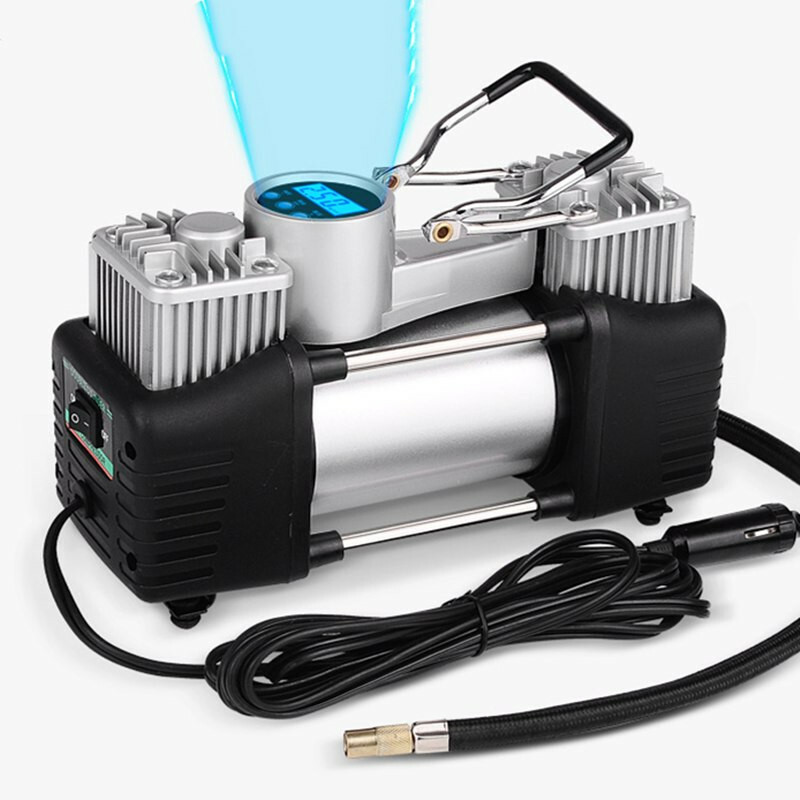 Embedded with a torch so you can use it in dark. 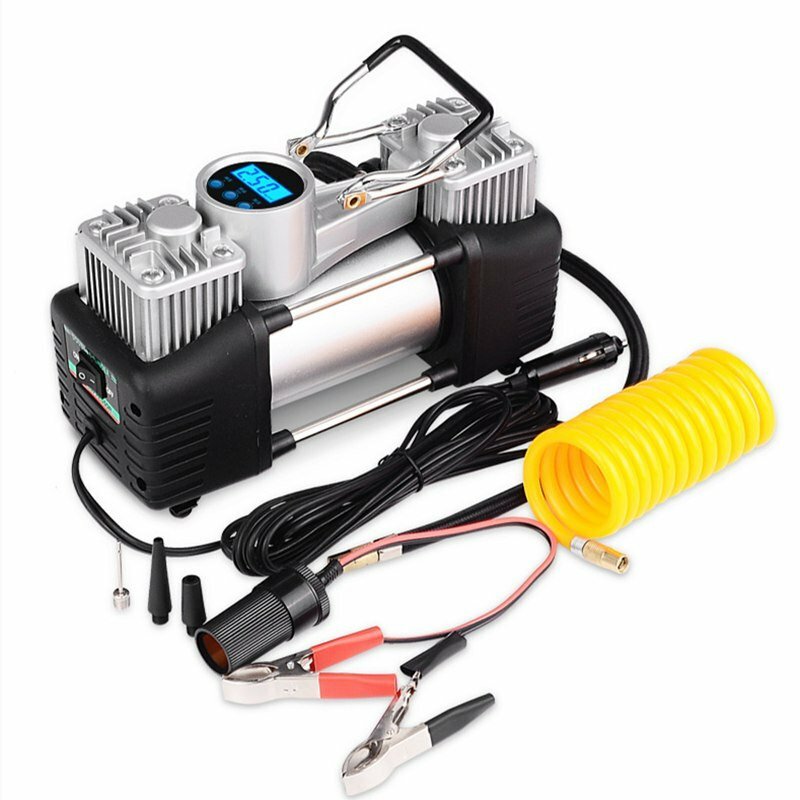 Inflating tire is a breeze with this 12V air compressor! 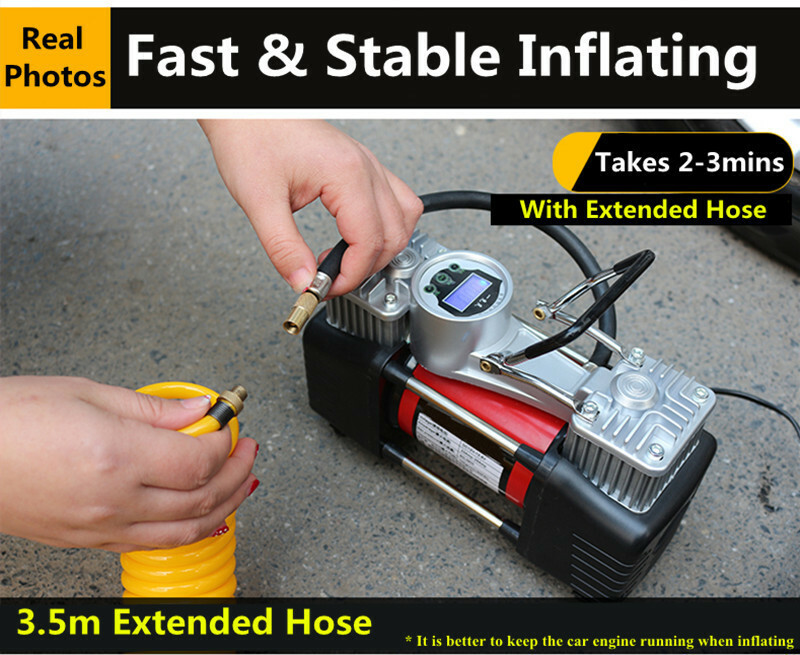 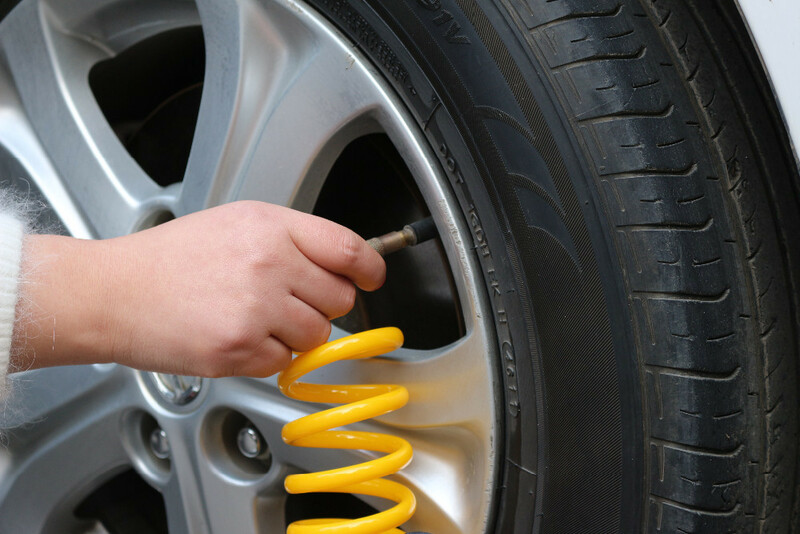 It is ideal for inflating many types of tires including 4WD vehicles and tractors tires. 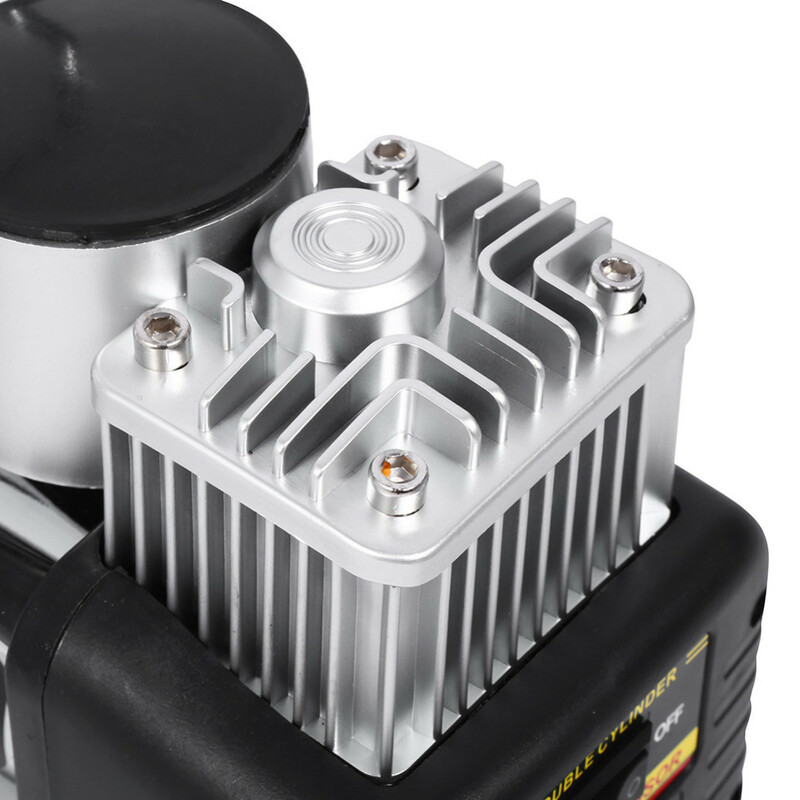 This lightweight mini compressor is small, compact and portable for easy storage in most vehicle types. 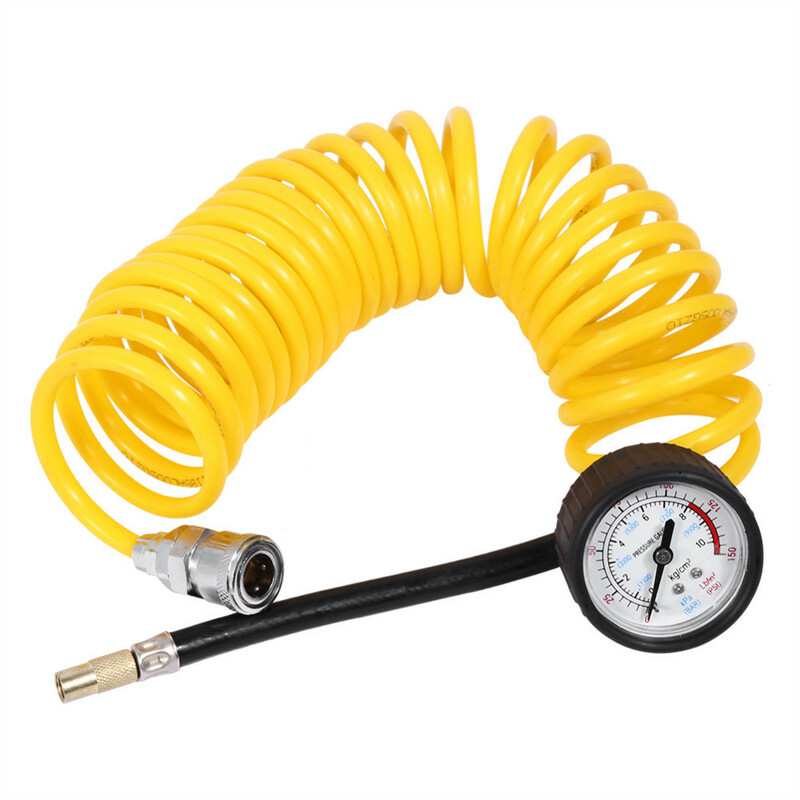 With Larger cylinder for big power, it can reach to the normal tire pressure quickly. 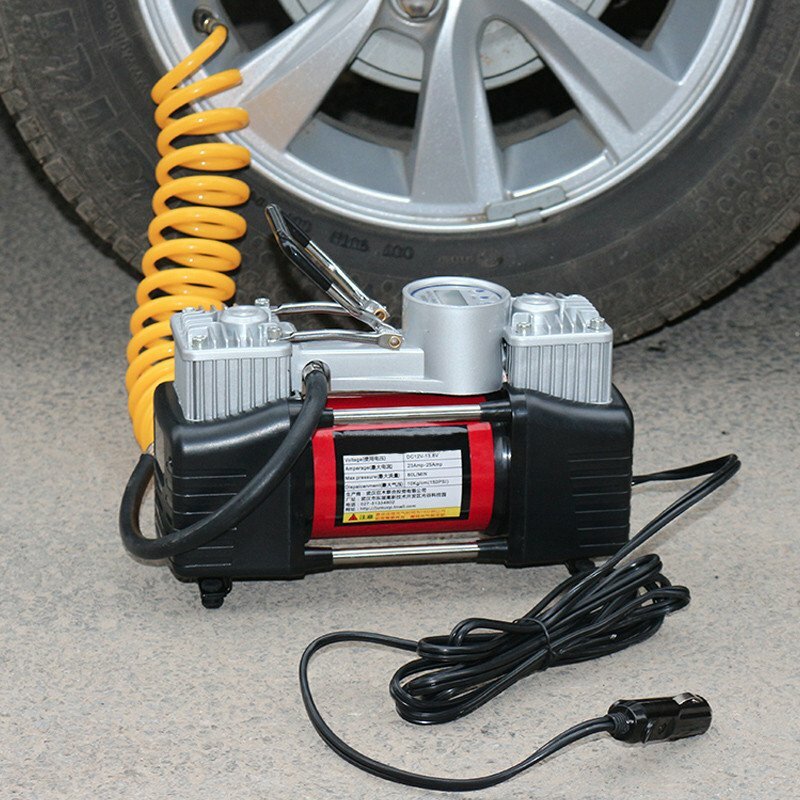 It is really a must-have accessory for caravan trips or off-roading adventures! 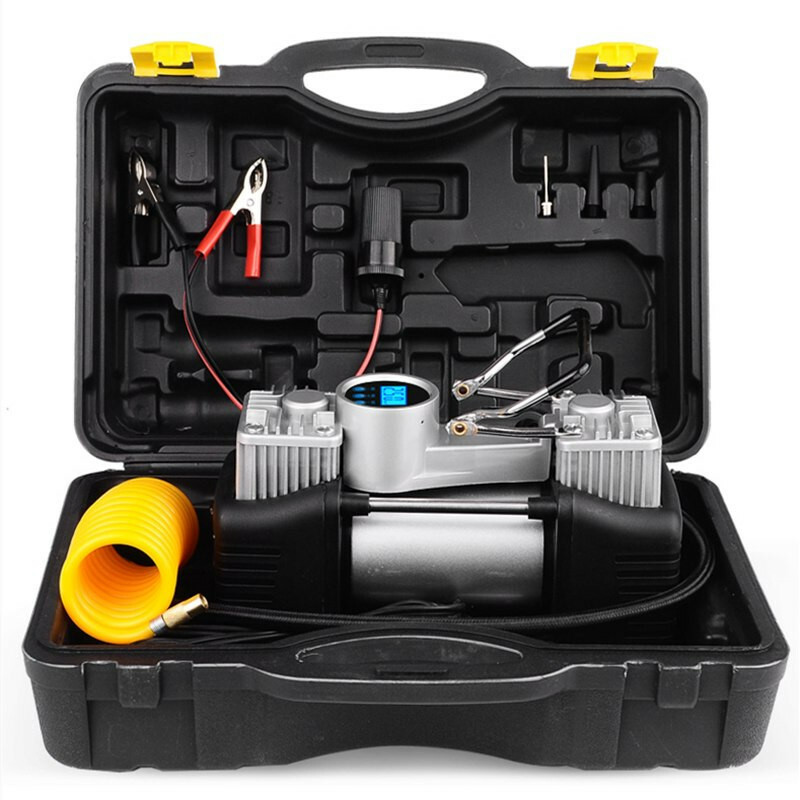 Heavy duty air compressor, ideal for inflating many types of tires including 4WD vehicles and Tires Tractors. 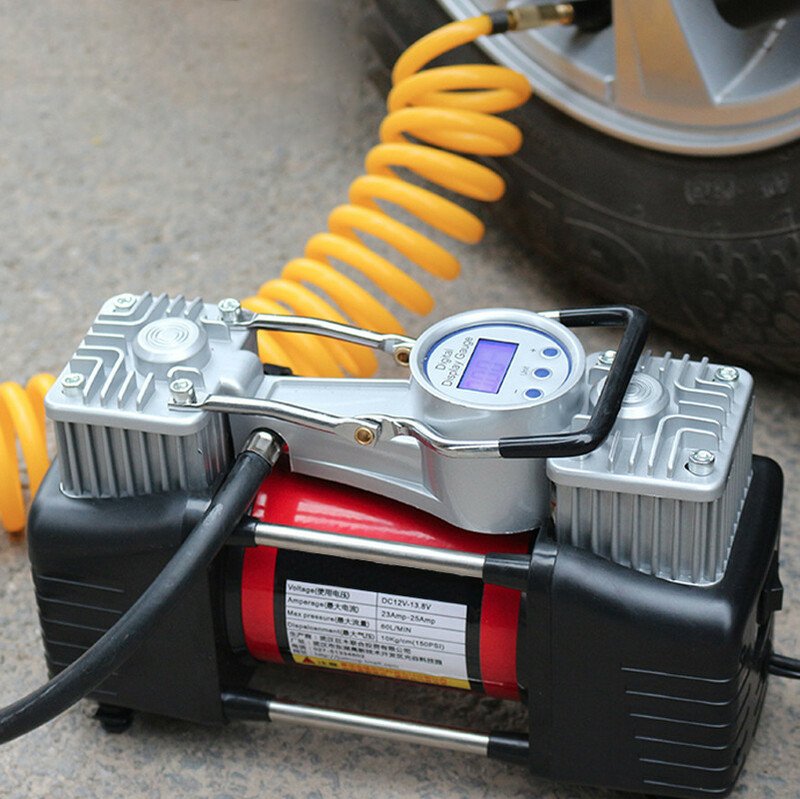 Huge AIR Flow Cylinder 150 PSI Working pressure, to the REACH, CAN at The Normal Tire pressure quickly. 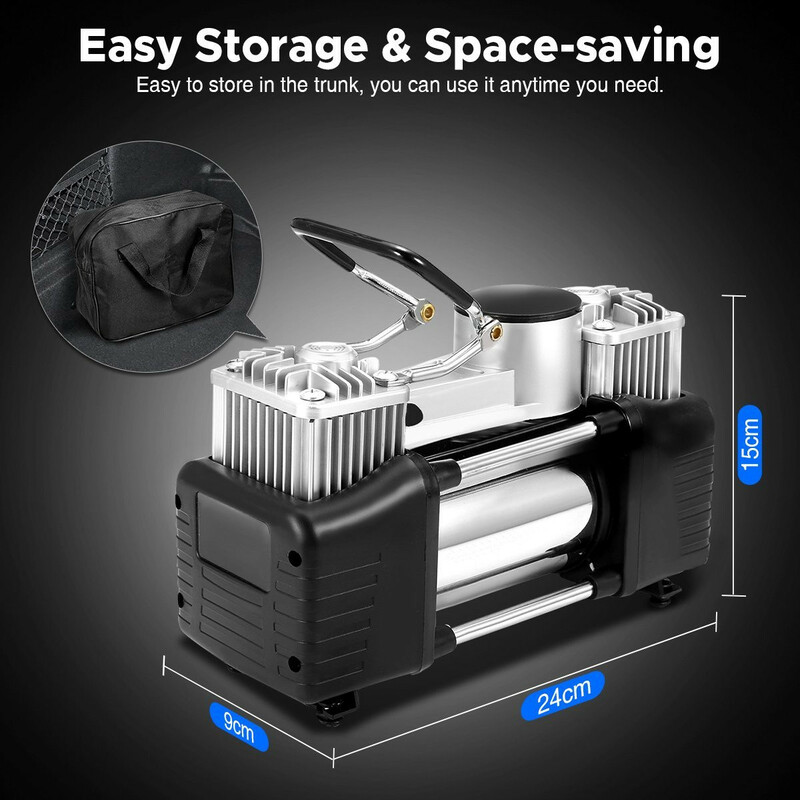 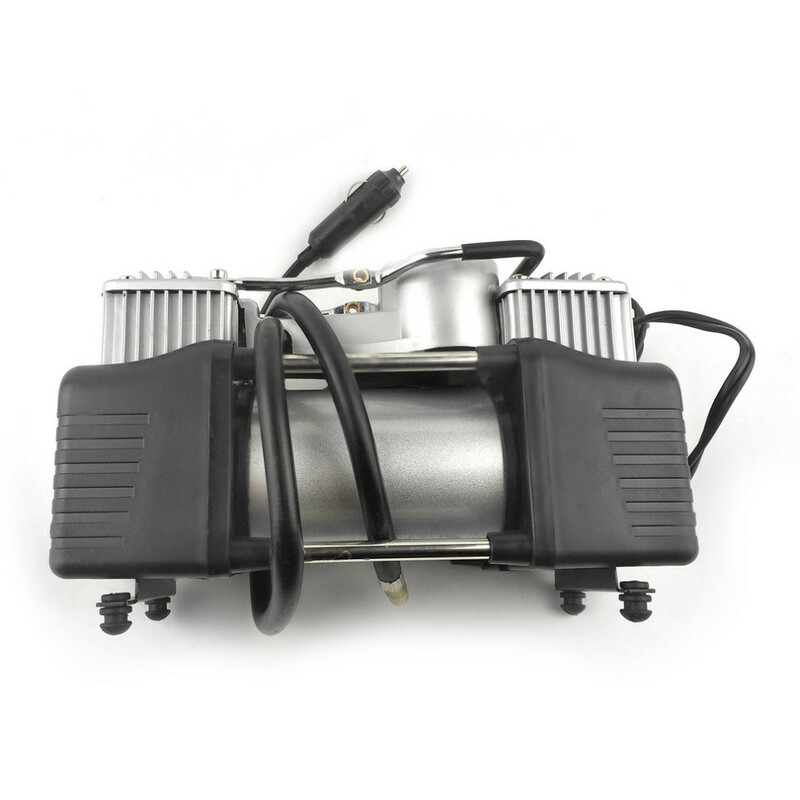 This IS Lightweight Mini Compressor Small, Compact and Portable for the Easy Storage in MOST Vehicle types. 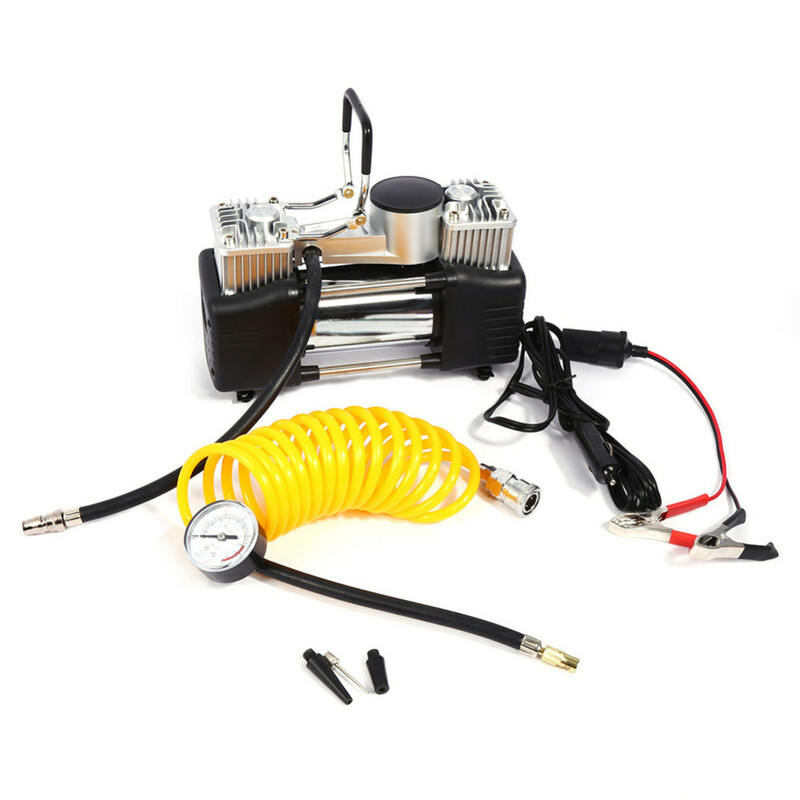 Supplied with tire inflator extension adapter and other inflation accessories in the carry bag. 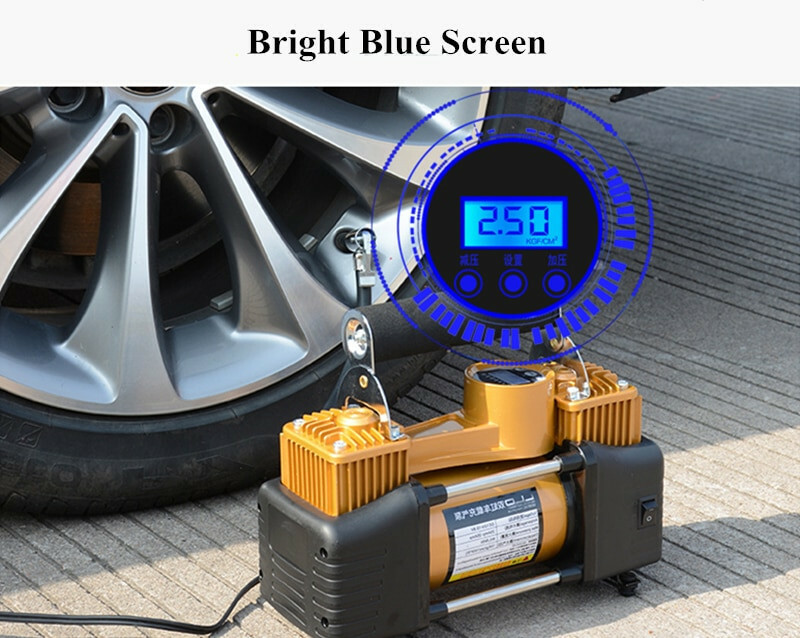 Able to inflate bike tires, car tires, athletic balls, etc.